About 70 Indian labourers, working for Penden Cement Authority Limited (PCAL) in Gomtu under Samtse, are on strike since Friday. They called the strike after PCAL’s management allegedly failed to sort-out discrepancy in their minimum wage rate. The revised National Workforce wage rate says labourers who fall under the category of ‘unskilled’ workforce should be paid Nu 215, a day. A source told BBS that the company pays Bhutanese workers a daily minimum wage of Nu 215 while the foreign workers are paid Nu 125, a difference of Nu 90. Not satisfied on the difference in the wage structure, the Indian labourers, who are enrolled as ‘casual workers’ on a contract basis for three months like their counterpart, decided to confront the management. 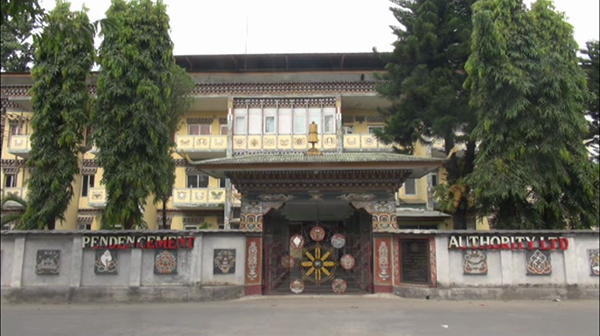 PCAL’s Deputy General Manager of Human Resource Department, Jigme Dorji said the company hasn’t broken any rules. He said the National Workforce Wage Rate categorically says ‘National’, and the company has been paying the minimum rate Nu 215 to Bhutanese. The Deputy General Manager said they will be seeking advice and suggestion from the Ministry of Labour and Human Resources on how to go about while fixing the minimum wage rate for non-nationals. According to the labour ministry, national workforce wage rate is applicable only to Bhutanese employed by the government agencies and does not mention anything on the minimum wage rates for the non-nationals.